The superhero "Shazam" was the big winner at the box-office over the weekend. HOLLYWOOD—With three new movies opening at the box-office it was a battle to win over moviegoers. Last week’s champion, “Dumbo” saw a massive drop from the top spot to #3. 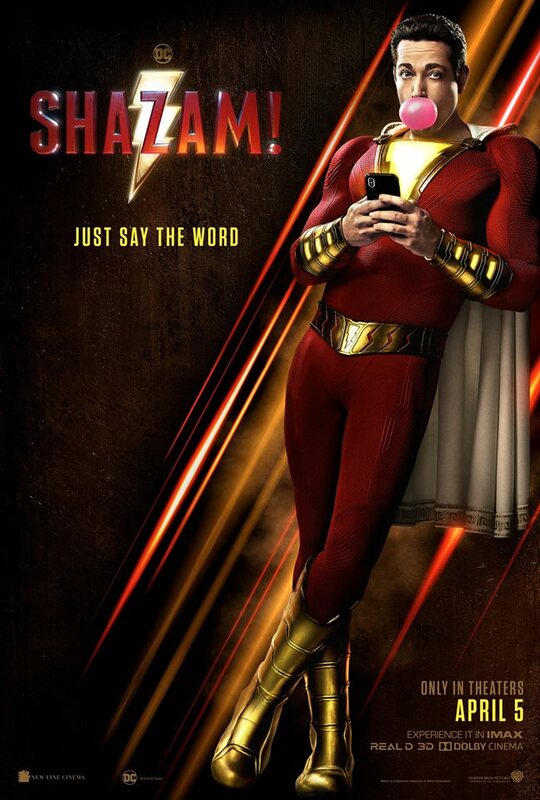 Winning audiences was the superhero flick, “Shazam” with an impressive $53.5 million haul. Since its release the movie has earned over $56 million at the domestic box-office. Not bad, not bad for a flick that I thought might have an ingrained audience, but not a character as well known. It’s a major win for DC, considering Marvel has the hotly anticipated “Avengers: Infinity War” arriving in theaters at the end of April. Nabbing second place was the remake to Stephen King’s classic, “Pet Sematary” with $25 million. Considering it has been nearly 30 years since the original first hit theaters, I was expecting a slightly higher performance at the box-office for the horror flick. As noted “Dumbo” saw a nearly 60 percent drop taking in just over $18 million its second weekend in theaters. In 10 days, the remake has amounted a dismal $73 million at the domestic box-office. Dropping to fourth place was the Jordan Peele thriller “Us” with $13.8 million. After 3 weeks in theaters, the movie has already crossed the $150 million mark at the domestic box-office. Rounding out the top five was the superhero flick “Captain Marvel” with $12.7 million. “Captain Marvel” is certain to cross the $400 million mark at the domestic box-office within the next week or two. This week sees the release of ANOTHER superhero, this time with “Hellboy” and the comedy “Little” which will do battle at the box-office.